Will today be the day the Eagles Franchise begins another chapter in history? According to numerous NFL sources, the Eagles are close to deciding who will be the leader chosen to bring back stability and success to their organization. The last few weeks have been a whirlwind of interviews and speculations of who tops the list of candidates to replace Andy Reid. We keep hearing the phrase, “leave no stone unturned,” and that is exactly what management is leading us to believe. After countless conversations with many prominent coaches on the professional and collegiate level, it seem the race is about to come to an end. Lets take a look at two of the finalists in the Eagles search for glory. 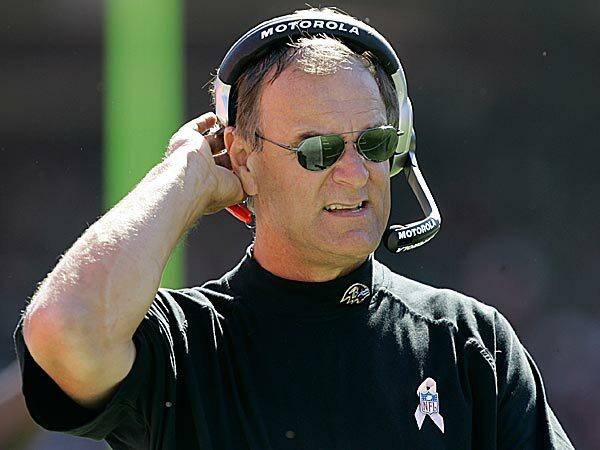 Brian Billick, who has been labeled as an Offensive Genius, turned heads yesterday, when it was learned that he spent 9 hours interviewing for the position. Brian led the Baltimore Ravens to a Super Bowl victory in 2000 with a start studded cast of defensive standouts, Ray Lewis, Deion Sanders, Tony Siragusa, just to name a few. The Ravens took advantage of their vaunted defense by allowing NFL record-low 165 points in the regular season, deeming them the best defensive unit in the NFL. In his tenure, he had a 85–67 record in nine seasons (1999–2007) with the team, including 5–3 in the playoffs. After being let go, he joined the broadcasting realm of the NFL in 2008 and has been there ever since. 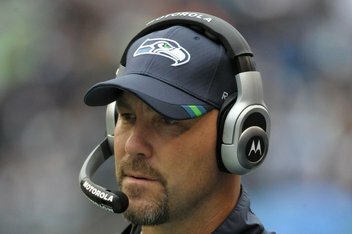 Gus Bradley is currently the defensive coordinator for the Seattle Seahawks, who have been known for their disciplined defensive system over the last three years. This is the reason Bradley has proven to be a hot commodity this offseason and at the fore front of many organizational coaching plans. He is known as being a vocal leader who commands the respect of his coaches and players. When being considered for the job in 2009, he was given the following endorsement by defensive mastermind Monte Kiffin: “J.L., listen to me. I have got a guy here in Tampa that is one of, if not, the finest football coaches I have ever worked with. He’s an A-plus. He’s a once-in-a-lifetime coach. You need to talk to him.” This speaks volumes coming from another well respected colleague that is held in high regard aroud the NFL. All we know is Jeff Lurie told us all in his news conference that this was going to be a wide search to find an innovative, intelligent, and experimental coach. They have interviewed 10 plus candidates over the span of 15 days, from both the collegiate and professional ranks, searching for their guy. At long last, it seems like they have found two guys, in Brian and Gus, who they are intrigued by the notion of them running their football team. Do you go with the known product, who has championship background? Do you go with an unproven coach, who has a chance to be something special? As you can see, this is definitely shaping up for a photo finish!! Previous Previous post: Passion and Perseverance! !